So whenever you will click that exit button which is using finish() or System.exit(0) that must close your application completely. worked for me. I want to close the app here. And to come back from other activites; I used intents, e.g. Note: This code is useful for the scenario where the developer wants to come back from ActivityZ to ActivityA and then close the app. If you specify API >= 16, Activity#finishAffinity() meets your needs. Currently I implemented the following in my app. May these helps to move out from the application from whereever you want. I am calling this function from action bar Menus. You can use Process.killProcess(Process.myPid()); to kill your app, but maybe it is not safe? 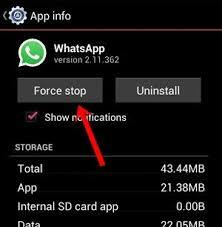 I didn't encounter any problem or crash after I used this method and after I used this, the process of my app in the DDMS list disappeared. One of the important reasons to have the exit button is the "on exit" advertisment. On the exit, it is possible to display some revenue-generating ad. It is still somewhat annoying, like all ads are, but may be less annoying than something that keeps hanging around all time, using precious screen space. Some ad networks offer this way of advertisement. But, really, you cannot just put an exit button that does nothing after showing that ad! As a result, one or another way to terminate the program is required in some cases, and "should never be needed" may not be the most comprehensive answer. Activity.finish() or System.exit(0) could probably be used.